The October Escape is for Gravel in 2018. The traditional spin down to the coast for the Amashova Classic is almost a pilgrimage for many riders. Having enjoyed the traditional ride on many occasions, we are planning the 'October Escape' with a twist in 2018! Gravel bikes are in, and we will include an adventurous 3 days of riding the back roads before we tackle the Amashova on the final day. - 19 October - Northern Berg - Central Berg - 100km approx. - 20 October - Central Berg - Natal Midlands - 150km approx. The route offers a back road gravel adventure, an exciting arrival to the accommodation venue on the first day, and fantastic Drakensberg back roads leading to the Midlands. 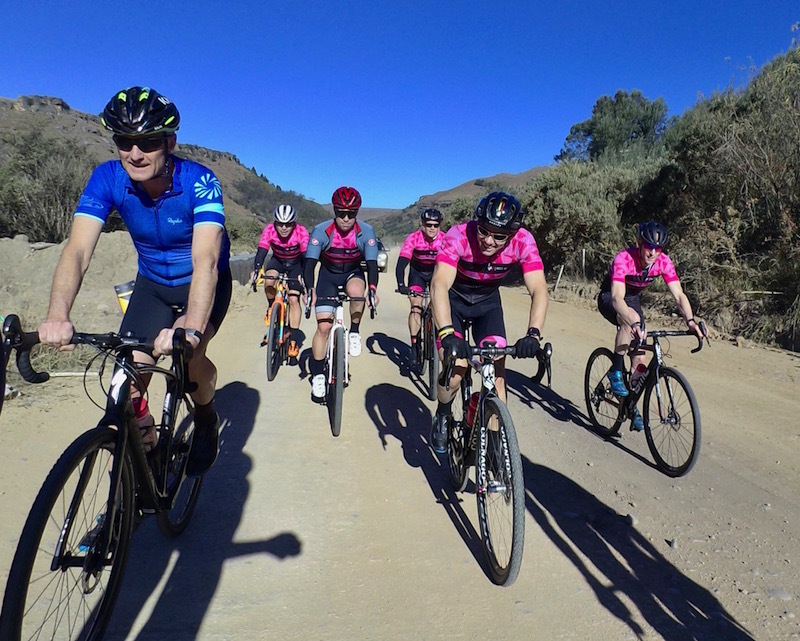 The trip is designed with Gravel Bikes in mind, so that we can travel the dirt, and ride the Amashova road event down to Durban competently, all on the same bike. Gravel bikes preferable to mountain bikes, but not exclusive, for a mixture of pavement and gravel roads, along with some adventurous exploration. - Beverages at the accommodation venues. Group size will be limited.